Pecans.com now offers custom shelling for growers who need fancy nutmeat for their retail operations. This service is available for quantities from as little as 500 pounds up to several trailer truck loads. Pecans.com is a CCOF & USDA certified organic pecans shelling facility. 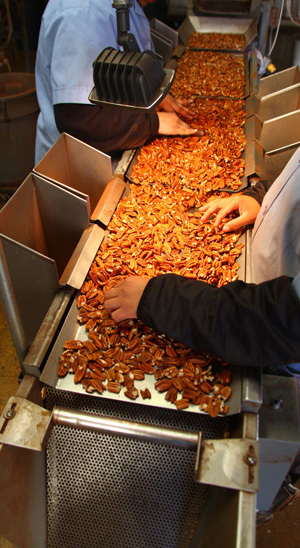 Pecans.com is one of the few organic pecan shelling facilities in Texas. Contact us today for pricing and to schedule an appointment!